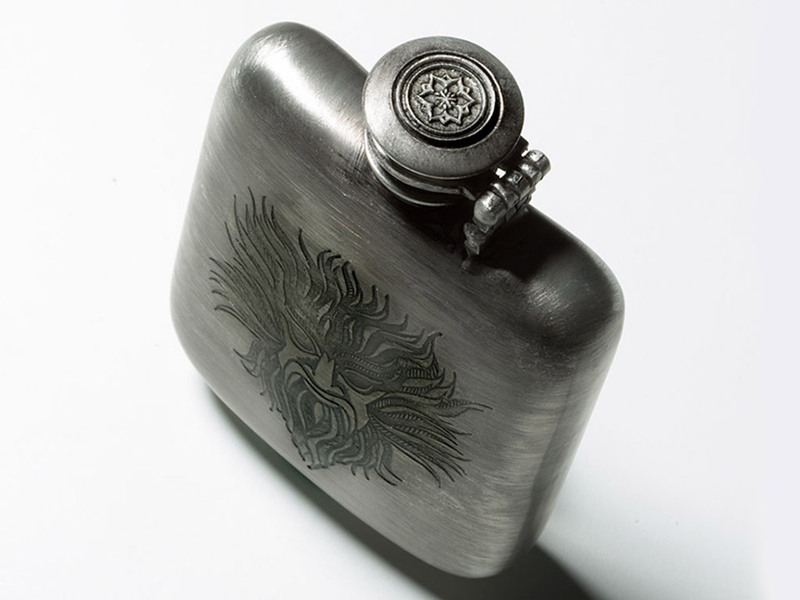 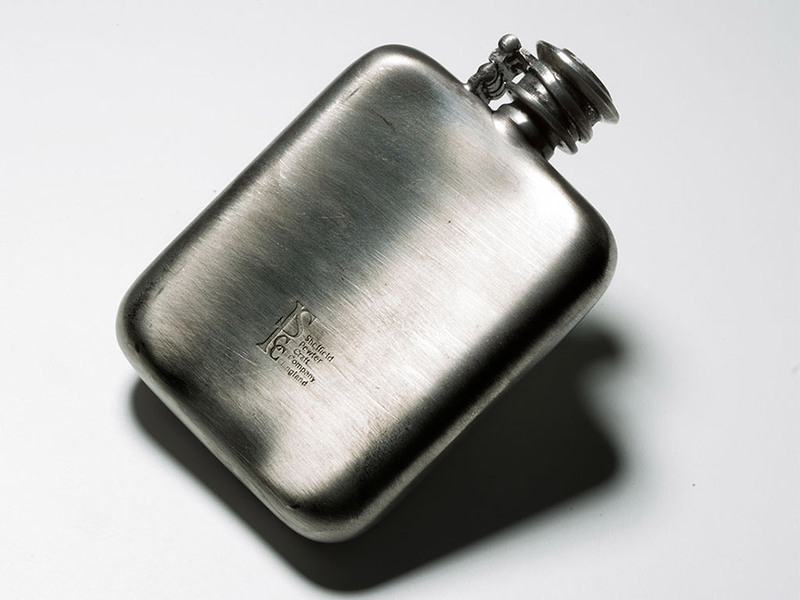 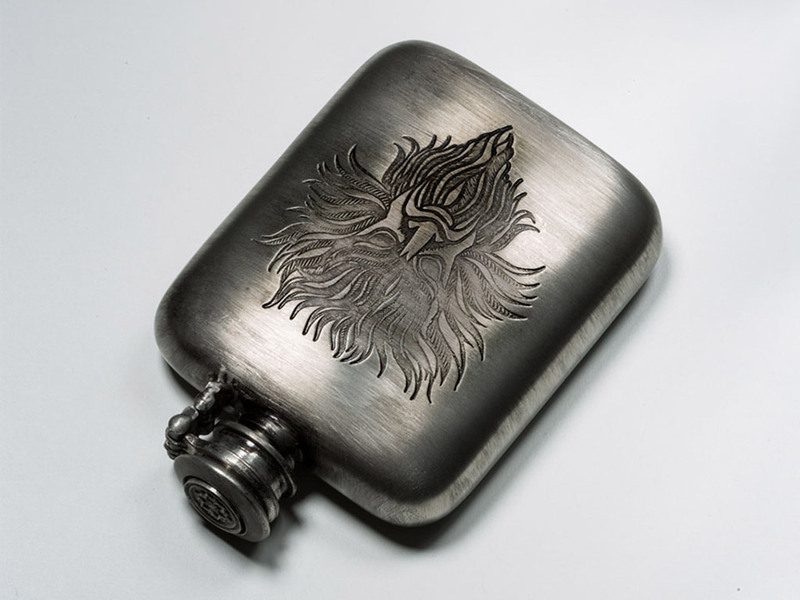 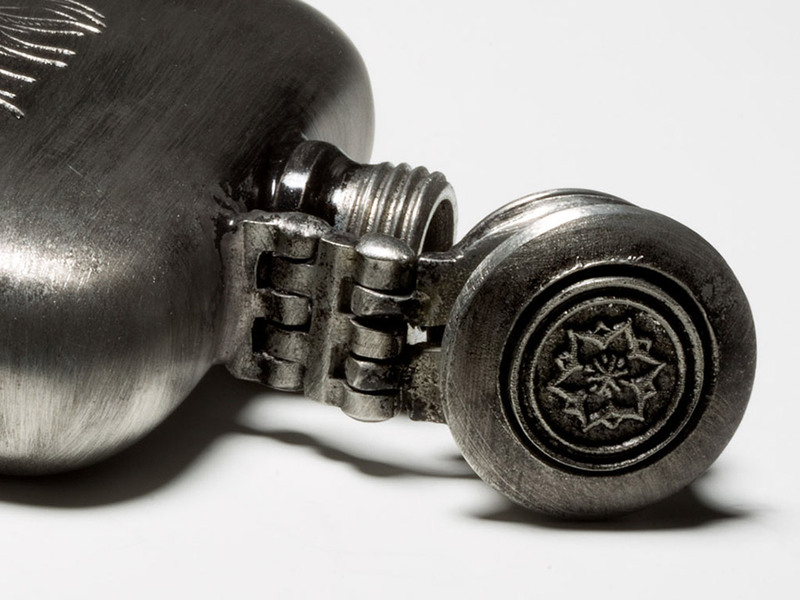 A very special, very limited-edition flask, handcrafted in England by the Sheffield Pewter Craft Company for Vansh. 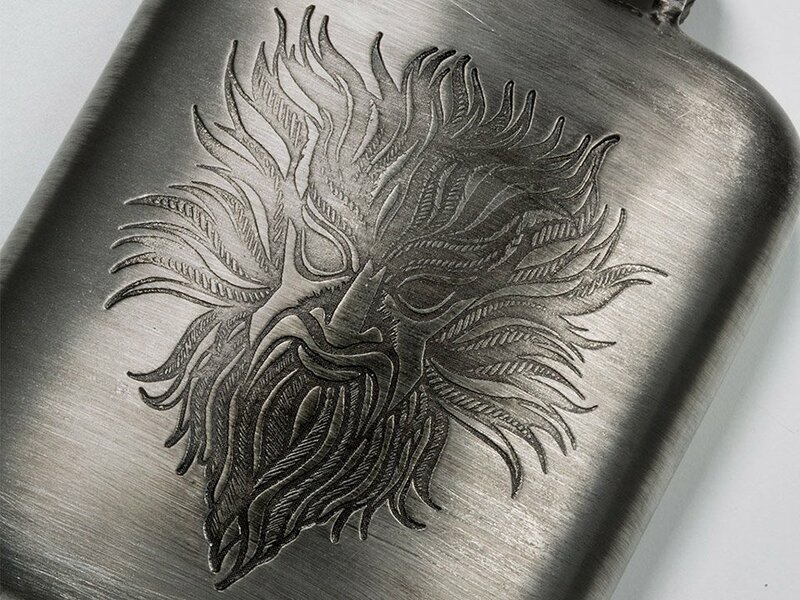 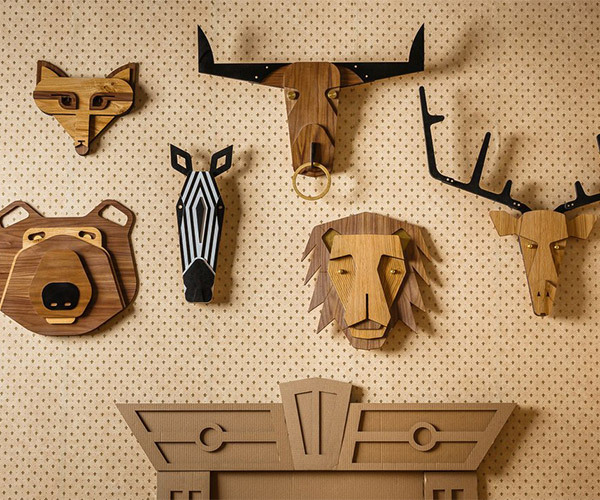 Each one features a dramatic image of the Greek god of the sea set into its face. 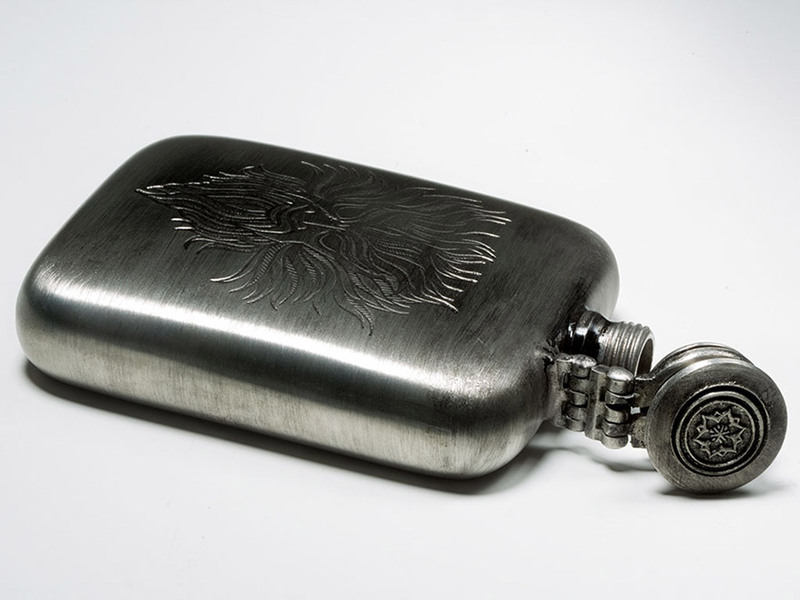 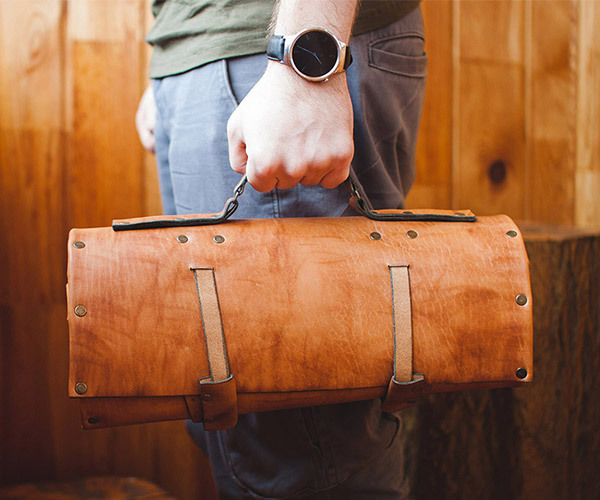 Holds 4oz, forged from 100% rustproof pewter and acid washed for effect.